There are many styles and techniques when it comes to editing your videos. Learn the basics of editing and beyond so that you can tell a compelling story. The best time to start thinking about editing is during the writing phase. By envisioning your edits early on, you can anticipate how your video will look and how you want your viewers to react. This usually makes it easier for you when you sit down to edit, because you have a clear vision for presenting your story. Consider your camera positions, angles, and movements. Think about how your video will open and close, and what are the key moments in between. For larger projects, you can make a simple “shot list”—writing down all the shots you’ll need so you don’t forget anything. As you get the hang of this, you can flow more smoothly and save yourself time in the editing phase. When should I do multiple takes to get the right shots? Will I need extra footage for my B-roll, trailer, or teasers? 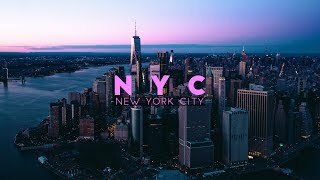 20-year-old JR Alli captures the hustle and bustle of New York City in this fast-moving video, introducing viewers to the bright lights and unique characters of this metropolis. 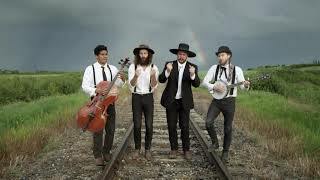 This music video from the Canadian band The Dead South is cleverly edited with an ever-changing backdrop of real-life settings and camera movements synced to the beats of the song. You have many options when it comes to editing—and you don’t need to spend a lot of money. Many creators start with free editing software installed on their computer or with free online apps. Others purchase more advanced programs. Do you just want a simple app for making quick videos? Or do you aspire to be an expert-level editor and invest a lot of time into your craft? It’s totally up to you! Budget. Aside from the free apps, you can find a number of programs for under $100 US. Higher end video editing apps, typically used for more elaborate projects, can cost $250 US or more. Tip: Check for free trials or education discounts. Equipment. Are you using a smartphone, DSLR, or pro camcorder? Recording in SD or HD? Review the tech specs of each app to see which types of cameras and file formats are supported. Also check the system requirements for your computer. Features. Even affordable programs typically offer a wide range of features, such as color correction for making your footage really pop. Higher priced apps may deliver more complex capabilities such as shared team projects and customizable workspaces. You can do some quick editing touchups in YouTube Studio. For example, you can add or edit end screens, as well as trim unwanted sections of your video before or after publishing. Sunny Lenarduzzi reveals how she edits professional-looking videos and creates social media teasers from her phone. Import and organize your footage. 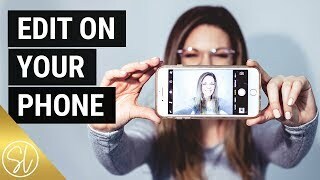 Unless you’re recording and editing directly on your smartphone (yes, this is possible! ), your first step usually is to import all your footage from your camera(s) to your computer. As you import, organize files so that it’s easier for you to find what you need later. And don’t forget to back up your files. Review and place your favorite clips. Next, watch your footage and select the clips you plan to use. You can bring these clips into the project timeline, then rearrange them to match your story. In many apps, you can add “markers” to clips to identify an important event. For example, you can mark the position where you want to add a sound effect. Clean up your timeline. At this stage, you can trim clips or delete entire clips that don’t seem to fit. Consider removing long pauses or filler words (“ums” and “ahs”), unless they serve a purpose. You may need to watch your video many times, or step away from your project and come back, to get a fresh perspective. Add visuals and sound effects. You have almost unlimited options to add titles, intros, and transitions. Remember, sometimes less is more—you don’t want the effects to distract from the story. Some programs offer a wide array of built-in video effects, or you can download plug-ins from third parties. You also can enhance your video by adding music and sound effects (one great source is the YouTube Audio Library). Mix your sound. It’s important to check your audio (try listening to your video with your eyes closed)—so you can adjust the volume of various elements such as voices, sound effects, and music to make sure they’re nicely blended together. Make color corrections. Depending on your project, you may do some color correction to fix the brightness and change the color to match all of your shots. If you want, you can adjust the color temperature to create a particular mood. Finally, you can increase saturation and contrast to really make the footage pop. Export and upload your video. Review the video a few times to make sure you’re satisfied with how everything looks and sounds, then prepare to export. Set the export settings according to your aspect ratio, and check if your software has a specific YouTube export option. After exporting, you can upload your video and publish when ready. For more inspiration, check out how other creators edit. If you admire their style, you can try emulating and adding your own touches. 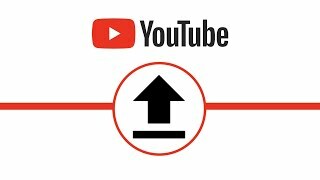 This short video shows you how to upload a video to YouTube. Master your software. Whichever video editing software you use, try looking up keyboard shortcuts for your most repeated tasks. Also, you can find a ton of videos on YouTube (and other sites) showing you how to do cool editing tricks. To learn a particular app, consider attending an in-person workshop or online course. Edit for pacing. Think about the pace and rhythm of your video. Do you want to move quickly from shot to shot, to build intensity and excitement? Or do you want to allow viewers more time to absorb and reflect upon what’s happening in front of them? Some editors use “jump cuts” to cover up unwanted lines or filler words. Turn to your audience. At the end of the day, what matters most is how you connect with your target audience. If you’ve uploaded a number of videos already, try looking at your Audience Retention in YouTube Analytics. Dips can mean that viewers skip those parts or leave your video. Think about the reasons your top videos kept viewers engaged and how editing might have played a role.